As people age and reach the age beyond retirement, sometimes, it can’t be helped that they have to live independently from their loved ones who also have personal and career-related responsibilities to take care of. OptimumCare Home Care Services makes it a mission to step-in and provide the most reliable and exceptional non-medical home care in Opitz Boulevard Woodbridge VA, including personal care services that should be considered as the essential care for seniors living independently. The biggest barrier that seniors have in independently performing their personal care tasks is their declining physical health. Not only will it cause them discomfort to move around and perform their tasks without support, it also makes them susceptible to falling and slipping accidents, especially when it comes to bathing and toileting. It would greatly help to have a standby support whenever they need it. As much as immobility or inability to properly perform tasks takes its toll on senior’s physical comfort, their mental health will also be affected. When they feel like they are constantly failing to do even the simplest daily living tasks, it takes a huge blow on their spirit and mentality, leaving room for stress and depression to seep in. With some needed assistance, they don’t have to trouble their minds about failing to accomplish their daily living tasks. Having no one to offer assistance make seniors feel like they are being neglected and not taken care of. Put yourself in their shoes and try to imagine how it feels to be aging without anyone by their side to offer companionship, supervision, and assistance? Seniors tend to be more emotional and easily lonely, especially when the memories of their pasts come by to visit, and when these incidents arise without anyone by their side, it results to the extreme loneliness that commonly leads to depression. Regular social interactions are important to a human’s well-being, especially for seniors. Being socially isolated negatively affects a person’s mental health. A personal care attendant does not provide care but also some companionship and conversations, helping them keep their minds stimulated and prevent severe loneliness and solitude. Personal care includes bathing and hygiene assistance and if seniors lack these, due to their inability and lack of assistance, they become more susceptible to bacterial diseases and feel awfully uncomfortable until they can receive the care they need. Proper health and comfort are both equally important for seniors to have a quality life and, therefore, having someone to provide personal care will help maintain and enhance their well-being. Their declining physical and mental health put them at constant risk of home and outdoor accidents. At their age, they could be suffering from chronic pains or physical impairments that may result to them falling down when they move from one place to another. Similarly, especially if they have Dementia or Alzheimer’s, their age and disorder make them develop the worsening lack of proper judgment and this may lead to home and other accidents. Many elderly people also suffer from disorders like Dysphagia which makes it hard for them to swallow anything they try to ingest or Parkinson’s disease that makes it impossible for them to eat their meals properly. Most of the time, these things lead to malnutrition and poor health. A personal care attendant provides assistance during meals, particularly in feeding them and supervising them to prevent choking and other related accidents. They also help the patients keep up with their medications and vitamins for a better health. Seniors who are living alone deserve as much dignity, respect, comfort, and care as the rest of us enjoy. Whether it’s personal care, companionship, or home care that they need, they deserve every type of assistance and support that will lead them to a higher quality of life. 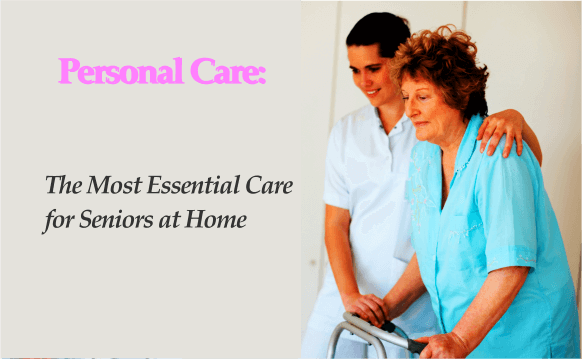 It is what we, at OptimumCare Home Care Services, aim to provide seniors, including your elderly loved ones, at home. Have the most reliable non-medical home care in Opitz Boulevard Woodbridge VA at www.optimumcarehomecare.com. This entry was posted in Non-medical home care and tagged caregiver, health care for elder, Personal Care. Bookmark the permalink.